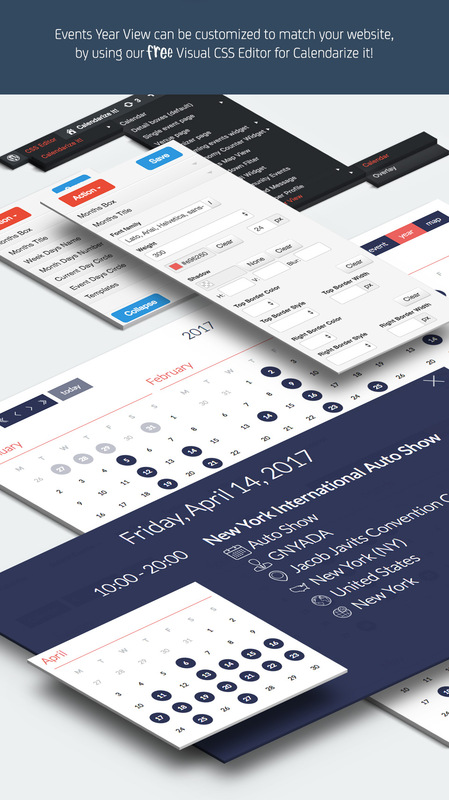 Events Year View for Calendarize it! | Calendarize It! 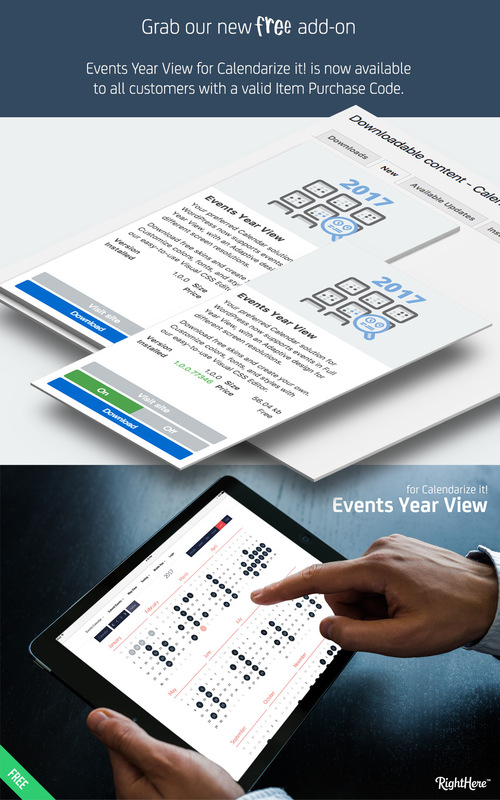 Over the years many of our customers have asked for a way to show events in a Year View. Until now this has not been possible. However, now the wait is finally over. 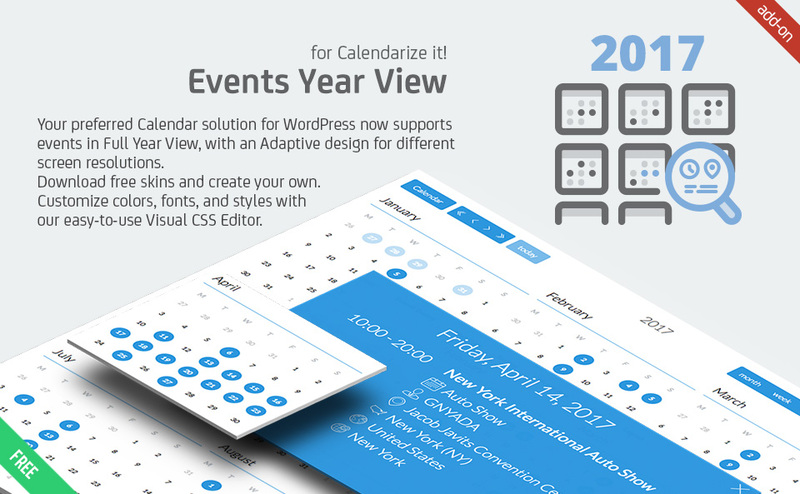 We are very pleased to announce the release of our newest add-on; Events Year View for Calendarize it! We regularly update our plugins for continuous improvement and bug fixes, and we sincerely appreciate your support for our plugins. We want to thank our loyal customers who keep supporting us. We are happy to introduce Free Premium Add-ons to all customers with valid License Certificate and Item Purchase Code. 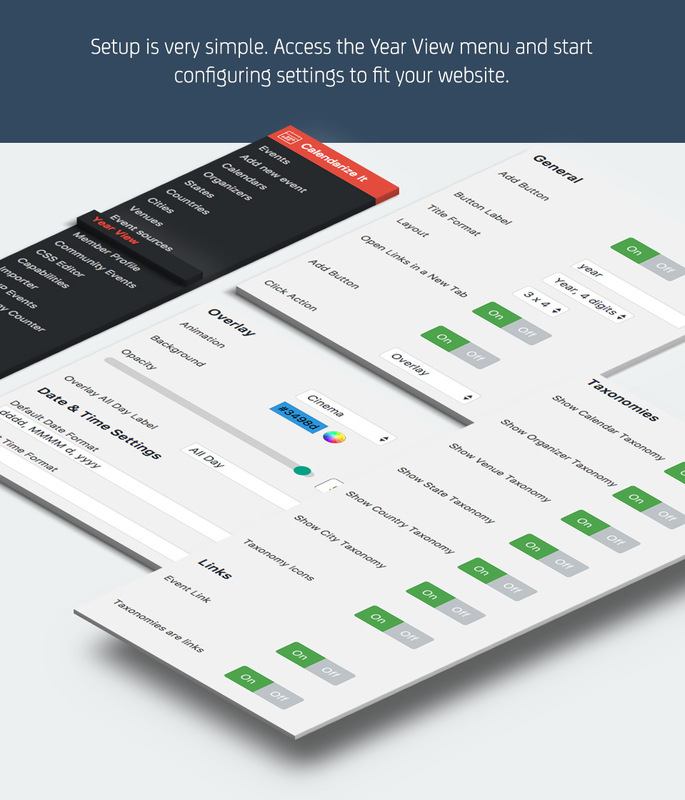 Go to the Downloads menu in Calendarize it! and download our free add-ons. Client satisfaction is our ultimate goal, and we strive for excellence on each and every project. If you are not happy with your purchase or there is something you can’t figure out, do not hesitate to contact us through our Help Center. Bug Fixed: Priority issue with Year View button (label) when using Easy Translation Manager and WPML for translation.